Rolled Herring In Vinegar, Served With Onions And Pickles. Perfect For Vodka. Banco De Imagens Royalty Free, Ilustrações, Imagens E Banco De Imagens.. Image 61461570. 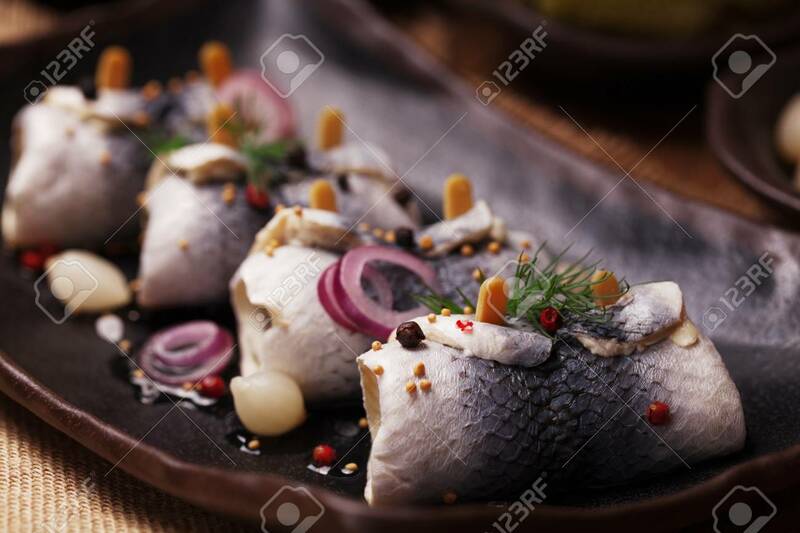 Imagens - Rolled herring in vinegar, served with onions and pickles. Perfect for vodka.